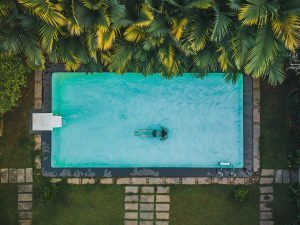 Are you looking for the best honeymoon packages in Kerala? 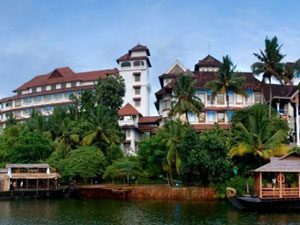 Do you want to know which places are good for a honeymoon in Kerala? 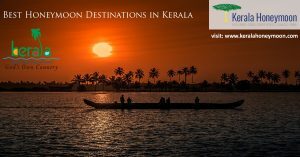 Why Kerala is the best choice for a honeymoon? If you have these questions then you’ve landed to the right place. We offer the best deals on Kerala honeymoon packages for couples. 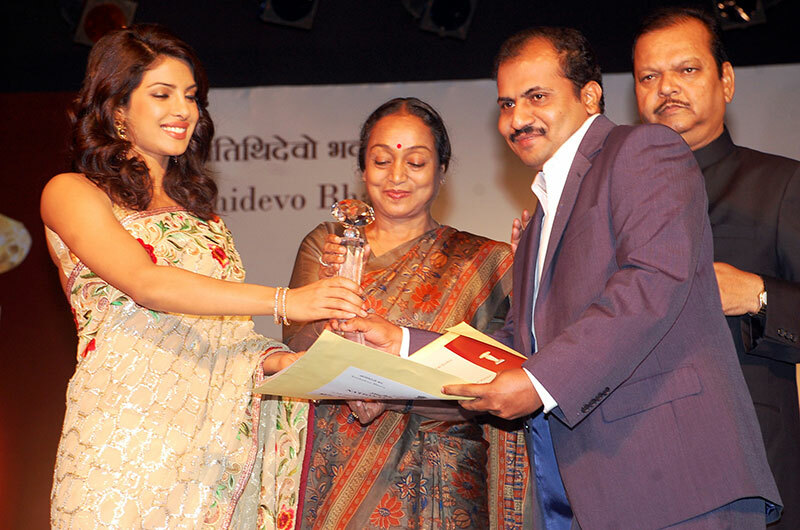 List of Standard and Luxury honeymoon packages in Kerala for the newly wedded couples..
Our CEO Mr. Anish Kumar P. K receiving National Award for ‘The Best Inbound Tour Operator in India’ 2010. Govt. of India Approved & Kerala Tourism Accredited Tour Operator. 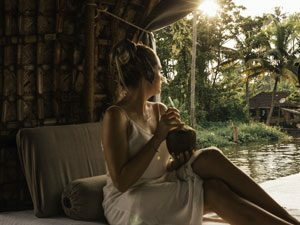 Any Kerala honeymoon package would comprise Munnar, Kumarakom, Bekal and a myriad other places that invoke the wonderful feeling of calm and quiet. These are scenes that are perceptible by vision, but, at the same time, numb your senses into a daydream, breathing life into love and togetherness. 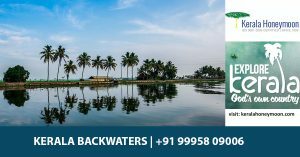 Houseboat trips in Alleppey, wildlife treks in Thekkady and other exciting locations like Kovalam, Vagamon and Wayanad have become the choice of many couples aspiring for a weekend or more of repose and rejuvenation. The Travel Planners has been leading the race for accolades in travel and tourism in India. Recognised as the best inbound tour operator by the Department of Tourism, the organisation has come a long way in delivering outstanding services, competent rates and unparalleled honeymoon packages for all travel enthusiasts. With exceptional understanding of the state’s treasures and our clients’ interests, our Kerala honeymoon packages are the way forward to an experience with nature in its ethereal glory. What is Cochin famous for? Cochin International Airport is well connected within India as well as with the world. The beautiful part of town called Fort Kochi, oldest town with influence of Portuguese, Dutch and British. 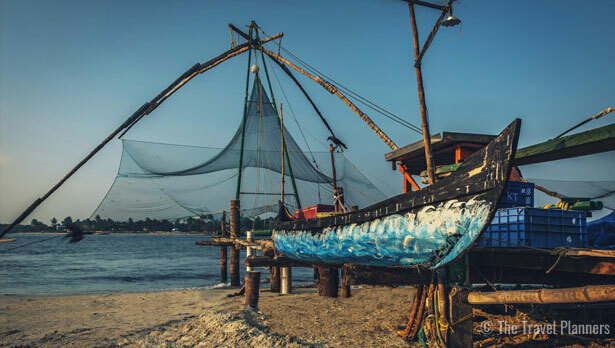 This sleepy suburb is brimming with sights such as the St. Francis Church, the oldest church in India, Old Portuguese houses, local fishermen and their Chinese fishing nets, a 16th century Jewish synagogue and the Mattancherry Palace, built by the Portuguese and containing elegant murals. The Villa Romantica in Cochin is an exclusive resort for Honeymoon couples. Munnar is a hill station located 4 hours drive from Cochin it is the hot spot for honeymoon to witness the sprawling tea gardens and little hills along the western Ghats. 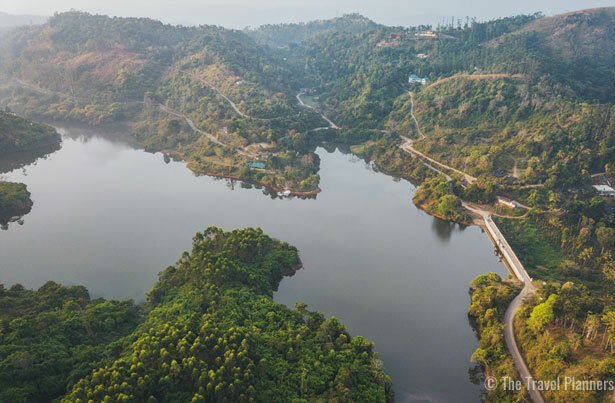 The drive would cover 130 Kms over 4 hours and will also include a stop at Cheeyappara waterfalls. 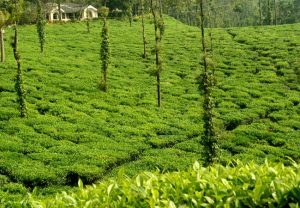 Sparsely populated Munnar is primarily covered by extensive Tata tea plantations. Sightseeing starts in the morning with trips to Eravikulam National Park, Mattupetty, Echo Point, Tea Museum and Pothamedu, together with the option of an enjoyable boat ride in the lake. Don’t forget to take pictures smack in the middle of the tea gardens and share it on social media and buy best tea from Munnar. Spice Tree Resort with Jacuzzi at all rooms or private pool villa is good choice for private honeymoon in Munnar. A morning drive through the Cardamom hills to Thekkady, covering 110 kms/3.5 hours is the best way to explore the beautiful nature of Kerala. 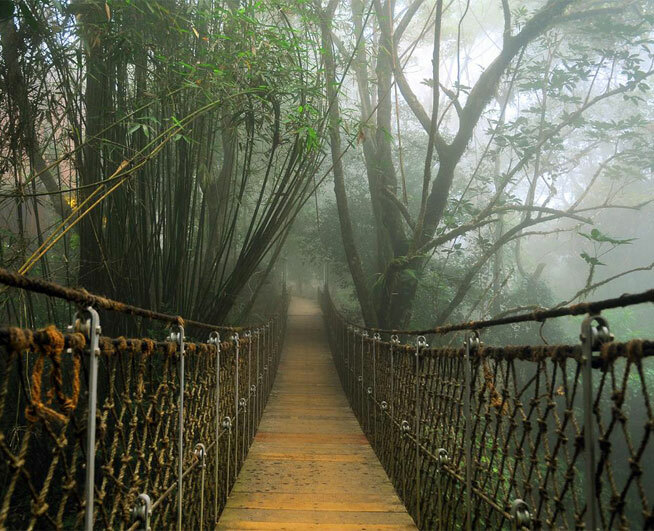 This drive includes spice plantations of cardamom and pepper as well as tea and coffee estates. You could also shop for exotic and fragrant spices on the journey to Thekkady. Don’t forget to buy some spices from the local spice market to give away as gifts to near and dear ones. A Kerala Houseboat offers rooms on board a Kettuvallam, a traditional Kerala house boat. Exploring the backwaters of Alleppey and Kumarakom, the boat provides full board Kerala traditional meals for all guests through its dining area in the boat. A chef on board prepares traditional Kerala cuisine with local spices, organic food and fresh seafood. Barbeque facilities are available in the lounge area. Rooms on individual house boats are equipped with air-condition. All come with a cable TV and mosquito repellent. Bathrooms have shower facilities. It is 5 km from Alappuzha Railway Station and 85 km from Kochi Airport. One of the popular beach destinations in India with three adjacent beaches and bays. One can get a magnificent view of Kovalam beach from the light house which allows travellers to get on top of the light house. There are many sea front restaurants serve fresh catches from the sea. Popular sea food restaurants are Bait by Vivanta by Taj, sea face hotel has sea front restaurant serves beer and wine. The Ayur Villa is a Private boutique villa with 5 rooms and pool is good choice for your private stay at Kovalam.